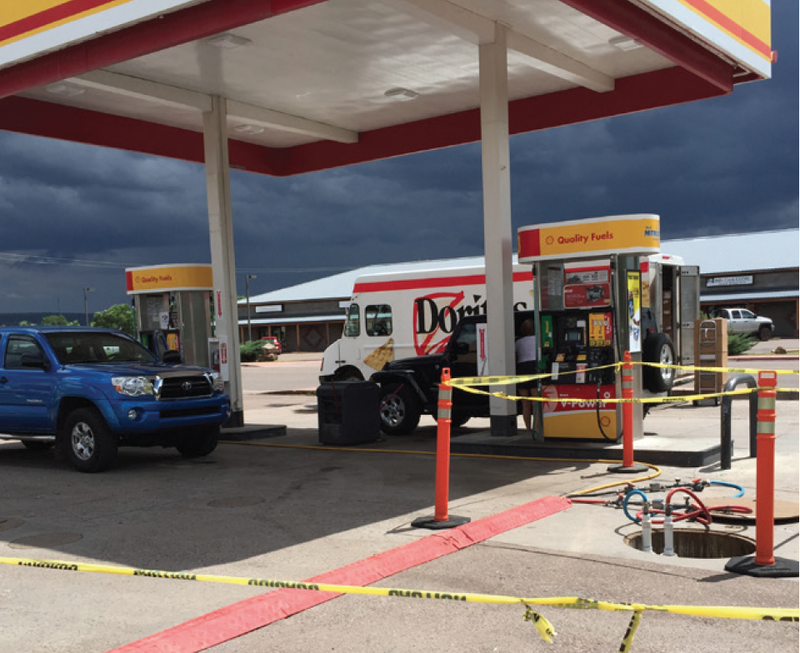 An active gasoline station in Springerville, AZ was listed as a hazardous Leaking Underground Storage Tank (LUST) site by the state of Arizona. After 30 years of unsuccessful remediation using a number of approaches, REGENESIS Remediation Services (RRS) was contacted to perform two separate injection events approximately one month apart. Both events included injections at 15 injection points over a range of depths. The first round of injections included a combination of PersulfOx and ORC Advanced. The second round of injections contained only PersulfOx. During both injections PersulfOx and ORC Advanced were successfully applied within the treatment area and at the targeted treatment interval of 18 to 60 ft. bgs. Low to moderate injection pressures and application flow rates were observed at each of the injection well locations, indicating good distribution of the amendments. Increases in dissolved oxygen, conductivity, pH, and oxidation-reduction potential were observed, indicating good distribution and influence of the PersulfOx and ORC Advanced remediation chemistry. ORC Advanced is an engineered, oxygen release compound designed specifically for enhanced, in situ aerobic bioremediation of petroleum hydrocarbons in groundwater and saturated soils. Since the two injections have been completed, three rounds of groundwater monitoring have been performed. Benzene concentrations have been reduced by 90% to 20 μg/L. A closure request has been submitted by the client awaiting regulatory approval.